David Braun joined the staff at North Dakota State University in January 2019 as part of Head Coach Matt Entz's first coaching staff. Prior to NDSU, Bruan spent two years at the University of Northern Iowa. 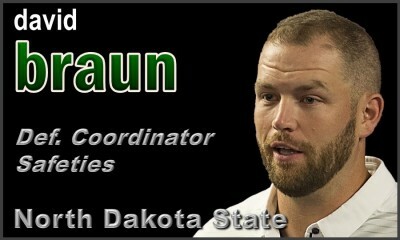 Braun was originally hired as the defensive line coach and run game coordinator, spending his first season focusing on attacking the opponent's run game and creating a structure of run fits to fit within the overall defensive structure. The result was a defense which finished #1 in run defense in the highly competitive Missouri Valley Football Conference, #1 in red zone defense, #1 in takeaways, #1 in 3rd down conversion defense, #2 in scoring defense, and #3 in total defense and sacks. Braun coached and developed 2 members of his defensive line who earned All-MVFC honors, one All-American, the MVFC leader in sacks and TFL's (Rickey Neal) and the MVFC leader in total tackles by a DL (Adam Reth). In 2017, Braun was also responsible for coordinating all aspects of UNI's Punt team. The result was a unit which ranked #1 in the MVFC in Net Punting. In 2018, Braun was asked to take over all aspects of special teams, and was named special teams coordinator, while swapping out the defensive line responsibilities for those coaching outside linebackers. On special teams, his units did nothing short of excelling in nearly every area. 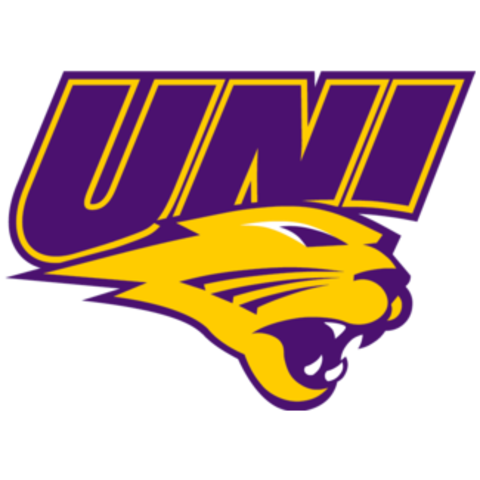 On the season, the Panthers ranked #1 in the MVFC in kickoff return average (24.5), kickoff coverage (opponent average start, 19.4 yard line), kickoff touchbacks (47), and punts inside the 20 (26), while being 100% on all 35 PAT attempts; the UNI kicker, Errthum Austin was the top scoring kicker in the conference, with 107 points. On the defensive side of the ball, Braun's 'backers were part of a defensive which ranked #3 in the MVFC in sacks (27), and #2 in interceptions (18). The 2018 Panthers advanced to the 2nd round of the FCS playoffs. Prior to UNI, Braun spent three years at UC Davis as the defensive line coach. He was integral in inserting a new structure to the Aggie defensive line that promoted two Big Sky All-Conference selections in 2016. Braun coached the line to rank second in the Big Sky in tackles for loss and second in sacks per pass attempt after ranking 13th and 12th before he joined the UC Davis staff. At UC Davis, Braun was also responsible for run game breakdown and coaching specific units on special teams. Prior to his stint with the Aggies, Braun was the co-defensive coordinator at his alma mater, Winona State from 2011-2015. During his time at Winona State, he coached 10 NSIC All-Conference selections and 14 NSIC All-Academic honorees along with a conference Defensive Player of the Year award winner. 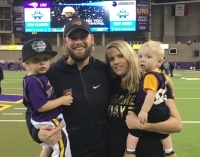 While working with the Warriors, he coached Winona State to top-four rankings in defense in the NSIC and top-35 rankings in defensive statistics in Division II football, including first in the conference in sacks, pass defense and first down defense in 2012. 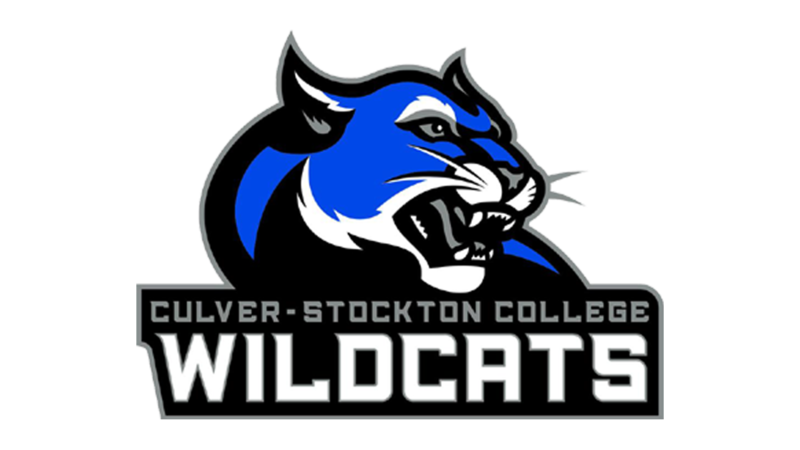 Braun wrapped up his graduate assistant position at his alma mater in 2010 and spent a season as the defensive coordinator at Culver-Stockton College in Canton, Mo. Braun received his undergraduate and graduate degrees from Winona State. He received his B.S. in secondary education from Winona State in 2008 and is working on his master's in sports management. Born April 2, 1985. David is married to wife, Kristin and the couple has two children, Lucas and Andrew.